Leadership, on the most basic level, represents one person’s ability to influence people – and hopefully larger groups of people – to follow a specific course of action, or to perform a particular action in a certain way. The key word in the previous sentence is “influence.” Effective leaders have the ability to inspire teams large and small, and they create the organizational, client and marketplace buy-in that any organization needs to succeed in a highly competitive environment. Having an effective leadership culture and top-notch leadership talent pool in place can be a primary reason for any team’s success, particularly as baby-boomers leave the workplace and widen an already existing “leadership gap.” Developing leaders is critical: a lack of leadership or misguided leadership can contribute to bad decisions, crisis, and even organizational failure. A substantial lack of leadership can create a downward spiral effect for the organization, as leadership is one of the main qualities required to exit from a crisis or a challenging situation. Leadership is also one of the core building blocks for any successful team or organization, and an absence of leadership can lead to negative consequences such as chaos; fiefdoms; rivalries; a lack of focus, energy, and enthusiasm; and ultimately, total failure. There are many overlapping qualities and skills possessed by the most effective leaders among us. In this series of blog posts, we will discuss the 7 core styles of leadership and will also touch on the qualities that make each type of leader successful. We have also identified one common denominator or universal ingredient that is present across all of the 7 leadership styles. While simple in theory, this one common denominator can be one of the most elusive skills to achieve in any society, religion, business, team, family, or other group. This simple, yet incredibly-difficult-to-implement, leadership component is the ability to create a following. To put it another way, the foundational requirement for every leader must be an ability to create buy-in and an active, engaged following. Without this ability, a person may still be considered an innovator or a talented individual, but as it relates to true and effective leadership, he/she must have the ability to create a dedicated following around a particular cause, philosophy, initiative, product, mission, or strategy. This following cannot be forced, coerced, or created through fear or intimidation, as this becomes illegitimate leadership. The right type of leadership following is based on positive energy, enthusiasm, incentive, ideas, choice and a willingness to follow based on a shared belief in the cause – not a fear of the leader. Ultimately, the highest form of leadership is the development of the ability to transform those following you into leaders in their own right. When this happens, the organizational demographic shifts from a single leader leading a following to a leadership team co-leading an entire organization of leaders. In this 10 part series we will examine this leadership requirement in more detail by highlighting 7 core leadership styles and the attributes that comprise their specific leadership focus. These posts will also introduce the reader to, what we refer to as, the “Snow Leopard Leader”. The Snow Leopard Leader represents the ultimate leader. Like Snow Leopards in the wild, the Snow Leopard leader is a rare and endangered species. They are also a beautiful sight to see when spotted in action. So, are you a Snow Leopard Leader? As described in the opening paragraphs of this post, the key to developing a reputation or culture focused on leadership is the ability to create an enthusiastic following. While this may sound simple, this notion does not provide any tangible description of the actual skills, traits, or attributes required to create a following. With this in mind, we have to dig deeper to answer a more specific and more fundamental question: What types of people (leaders) do others choose to follow? To answer this question, we must uncover trends and patterns of behavior that are more likely to deliver the result any team or organization will need in order to take their team performance to a higher level. 1. There Are 7 Styles - We have uncovered seven distinct leadership styles that cover the vast majority of effective leaders and team followings. 2. Style Overlap - As leaders begin to adopt and develop overlapping skills across the seven styles, they become even stronger, more effective leaders. 3. Developmental Sequence - There tends to be a sequence of development across the seven leadership styles, although a consistent developmental progression is not mandatory. 4. “Snow leopard” Leaders Do Exist – those rare leaders whose talents exceed all other leaders. We define this individual as the “Snow Leopard Leader” as they are rare and becoming more of an endangered species. 5. 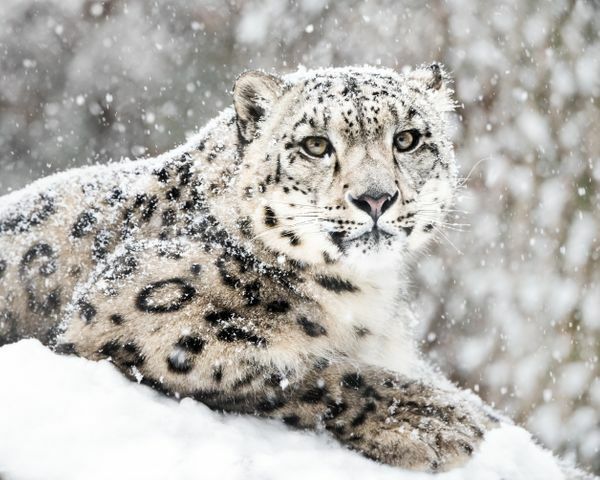 You Can Learn To Be a Snow Leopard - In most cases (but not all), the skills required to achieve proficiency in any of the seven leadership styles – those skills needed to become the Snow Leopard Leader – are skills that can be developed through training, mentoring, behavior replication, repetition, incentive, and environmental conditioning. In short, leadership can be learned! 1. The Ethos Leader - People follow them because of their character. 2. The Knowledge Leader - People follow them because of their subject matter expertise. 3. The Vision Leader - People follow them because they have the ability to anticipate the future. 4. The Operational Leader - People follow them because they are expert at execution and implementation. 5. The Emotional Leader - People follow them because they engage, inspire and motivate people. 6. The Intrepid Leader - People follow them because they are fearless and lead by example. 7. The Track-Record Leader - People follow them because they've succeeded over and over again. In this series of posts we will examine each of these seven styles of leadership, detail their key characteristics, and offer suggestions for implementing key attributes from each leadership approach. And, of course, we will discuss the characteristics of the “Snow Leopard Leader”.